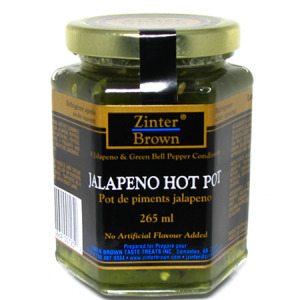 Zinter Brown Jalapeno Jelly - Careful...It Can Be Devilishly Addictive! 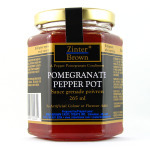 Zinter Brown Jalapeno Jelly Hot Pot is a spicy adventure that unites hot Mexican jalapeno and fresh green bell peppers with sugar, water, vinegar, pectin, spices and food coloring. Does this hot pepper jelly have your taste buds standing at attention? 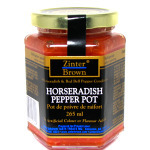 Try Zinter Brown Jalapeno Hot Pot on a bagel with cream cheese. Add a tablespoon to a fresh fruit salsa. A dollop of jalapeno jelly will add life to your burger or hot dog. Hot pepper jelly is delicious as a condiment for roasted lamb. Try our jalapeno jelly recipe for corn fritters. 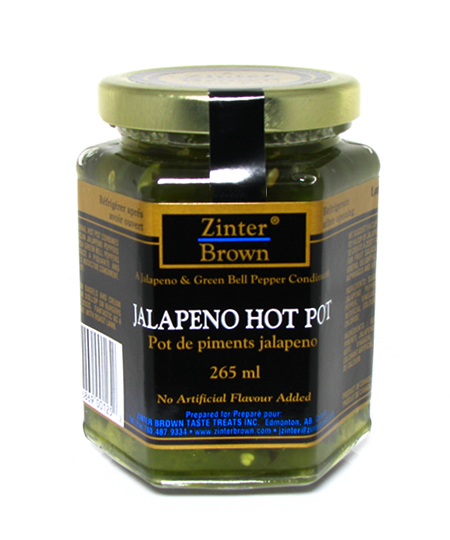 Our jalapeno jelly hot pot was one of the first on the market in western Canada, and connoisseurs of sweet heat say it's still the best. 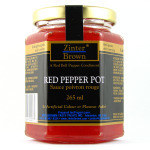 Order hot pepper jelly online today!